President Donald Trump called on Congress to take up border security and wall construction as they work on developing a funding package for the remainder of fiscal 2019, returning to a signature campaign pledge that was at the heart of a recent fierce debate, Capitol Hill dysfunction and the longest government shutdown in history. Trump reiterated many of the same arguments he brought up during January shutdown negotiations — including the number of sexual assaults that occur on border crossings, instances of crime committed by undocumented immigrants and danger to Americans at the southern border — which congressional Democrats refused to yield on last month. The State of the Union itself was delayed after House Speaker Nancy Pelosi suggested that the speech should wait until after the government was fully funded. Congress has 10 days to come up with a funding plan for significant portions of the government or else risk another partial government shutdown. Trump acknowledged this deadline and called for “cooperation, compromise and the common good,” calling up examples of congressional cooperation in the previous Congress in areas such as addressing the opioid epidemic and passing a farm bill. But Trump did not address the 35-day shutdown that began in the last Congress, which some federal employees said colored the address. “I think it’s kind of an embarrassment for President Trump to stand there and address the nation after what he did to all of the people in this nation. He didn’t just hurt 800,000 federal workers, he hurt communities, children, people, businesses,” Ben Toyama, an employee at Pearl Harbor Navy Ship Yard and financial secretary for the International Federation of Professional and Technical Engineers’ Local 121, told Federal Times at a reception hosted by IFPTE hours before Trump’s address. 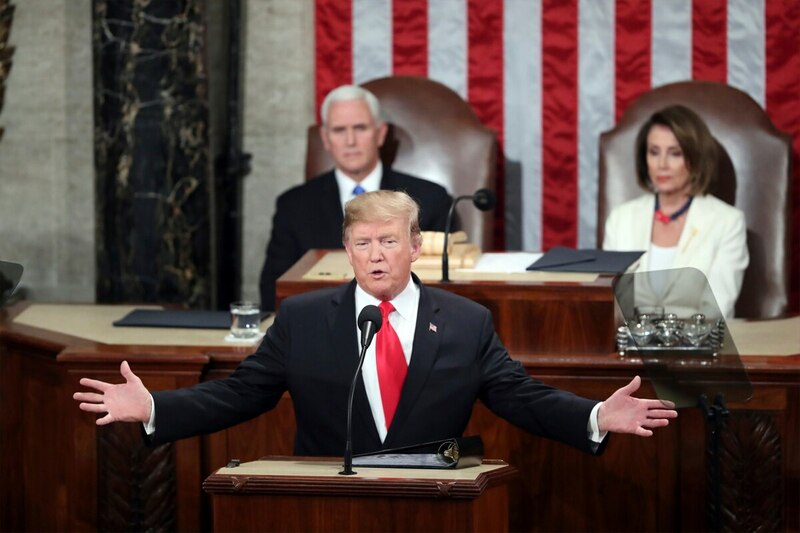 Matthew Biggs, secretary-treasurer and legislative director for IFPTE, said that a central concern for the State of the Union address would be whether Trump would be willing to compromise on wall construction in order to guarantee the government stays open. “They’re just hopeful and really praying that the government doesn’t shut down again. They’re in survival mode at this point,” Biggs told Federal Times.